Present-day Apache, Lipan people reside in Texas, New Mexico and the San Carlos Apache Indian Reservation in Arizona, as well as with the Apache, Mescalero people on the Mescalero Reservation in New Mexico. They also reside in suburban and urban areas in the southeast United States. The Apache, Lipan people are one among five Apache people groups in the United States. In the mid-1700s, the Commanche scattered Lipan from Texas throughout many areas causing them to form various Lipan bands. They were also among the more important subgroups of Apaches in Texas. Their name means "Warriors of the Mountains." In addition to Texas, the Apache Lipan consist of many different bands residing on the San Carlos Apache Indian Reservation in Arizona, as well as with the Apache, Mescalero people on the Mescalero Reservation in New Mexico. They also reside in suburban and urban areas in the southeast United States. Known for their traditional songs, the Lipan still adhere to many customs and manners of their past ancestors. One song, the Rainbird Song, celebrates the right to puberty. Sacred symbols, in the form of objects, are extremely important among Lipan. They are often worn to ward off evil forces and serve as mediators between the sacred and secular. Hence, religiously, the majority of Lipan seek peace through sacred objects, not realizing that true peace is found in the the one and only mediator Jesus Christ. 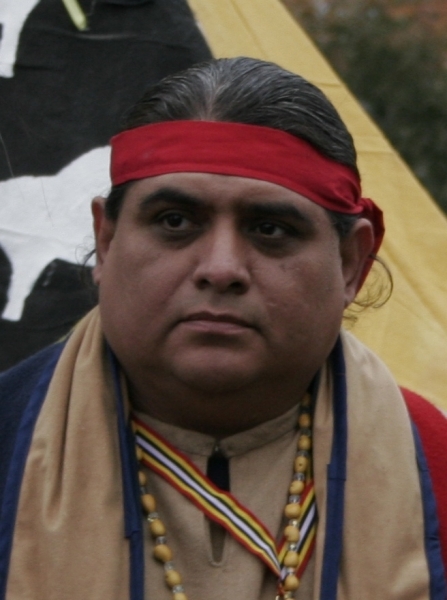 Click here to learn more about the Lipan, Apache people. Click here to view the Lipan Apache of Texas Facebook page. Pray that the Apache, Lipan people will experience a personal relationship with the living God through Jesus Christ. Pray for the few evangelical Apache, Lipan people (numbering less than 3%) to share boldly their faith in Christ with both other Lipan and Native American peoples. Ask God to raise up Christians who will pray for and work among the Apache, Lipan ministering to both their felt and spiritual needs.